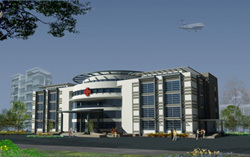 Thai Hoa Hospital was under completion. We are sincerely grateful to PMDC for their significant support during our harsh journey. Mr. Luong Ngoc An - Director – Thai Hoa Hospital.